Are you a South African who is looking for a home loan but doesn’t know how to shop around or compare different home loan offers? With so many mediums available it can become a confusing process to decide on a home loan offer that will suit your situation the best. In this article I will explain the basics in choosing the best home loan package for you and how to do it. You are probably one of the many home seekers who has read tips that says that that you have to compare different home loan companies in order to get the best suitable deal. But do you know how to compare the different companies? Do you simply pick up the phone and call around to find out their requirements, plans, rates and fees? I think the best and easiest way is to brows the internet. The internet is full of useful tips and information that would give you the correct information in order to find a home loan package that would suite your personal situation the best. The internet is by far the fastest and easiest way of getting the right information right at your finger tips. Some of the web sites even give you their fees and rates, which you as a home buyer definitely need to know before choosing a home loan company. Another benefit of using the internet to get information on getting a suitable home loan is that you can do it at the comfort of your own home or office. You don’t even have to do it during office hours. You can brows anytime that will suite you. Also the availability of information and definitions are a big plus point. Some of the home loan terminology can get confusing, but there are a lot of different sites that gives you understandable and straight answers to all your questions and uncertainties. 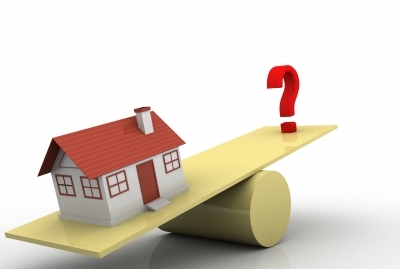 Something that you also need to do whilst comparing home loans is to determine the repayment fees. You should find out what the minimum deposit is that you need to put down on the loan, and if you are able to pay more than what is expected from you. Remember the bigger the deposit the smaller your monthly fees and interest rates. A very good and important benefit of using a home loan company’s web site is that you can save all the information which you have gathered and then giving you access to a lot of information and references for a later stage if needed. We can see that by using the internet to shop around and comparing different companies is the fastest and easiest way of getting the right information on home loans. Thanks to the internet we can get useful and trusted information that will increase your chances of getting the best possible deal on a home loan.